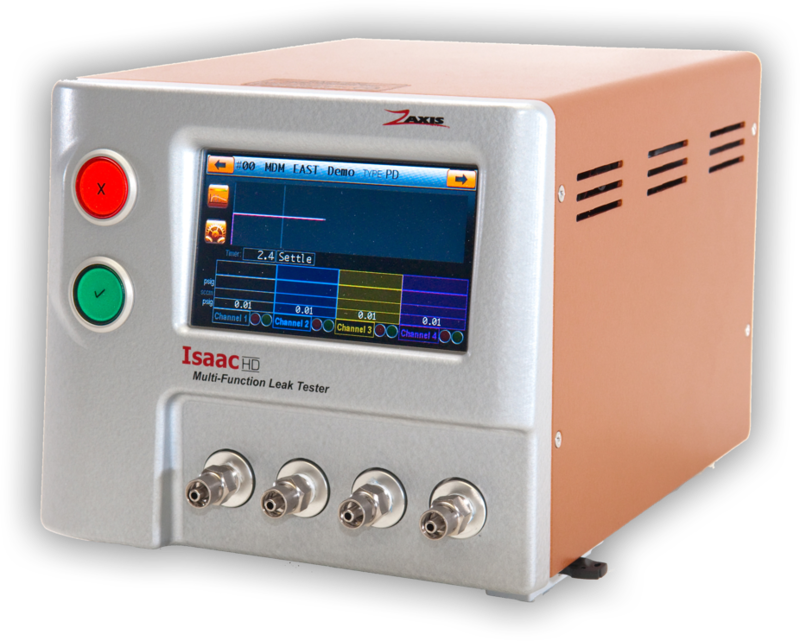 Leak Tester with Automated Catheter Fixture - Zaxis Inc.
A customer recently requested a quick, dependable leak tester that would limit handling of the part during testing. 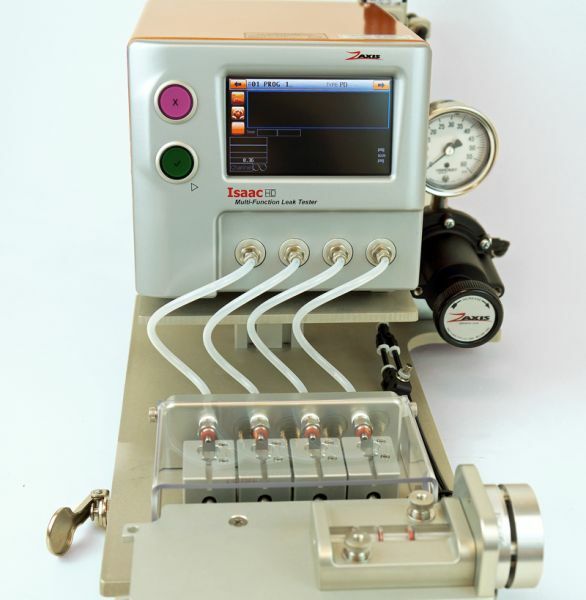 Our design staff developed a complete automated catheter test fixture to achieve the client’s goals. The luer hubs are loaded into the nests right in front of the tester, while the tip of the catheter is loaded into the tip sealer on the plate in the foreground of the image. This allows all four lumens or channels of the catheter to be leak and flow tested without having to handle the catheter between tests. Contact us now to learn how Zaxis can meet your most complex leak tester requirements.